The world’s favourite virtual idol Hatsune Miku performed her epic and historical full orchestra concert “Hatsune Miku Symphony” last year on August 26th at the Tokyo International Forum. The concert is set to grace us again, with the official dates for this year’s performance finally being announced. This year marks the 10-year anniversary of Hatsune Miku, and in line with this she will be performing in November of this year at Tokyo – and also in Osaka for the very first time! Full details regarding the tickets and performances can be found via the official “Hatsune Miku Symphony” website and Twitter page. Moreover, a “Hatsune Miku Symphony” booth is appearing at “SNOW MIKU 2017” from Saturday February 11th as part of the Sapporo Snow Festival where you can get your hands on all sorts of original merchandise. And if you head on over and buy something quick, you’ll get limited edition access to the performance. This is on a first-come, first-served basis. 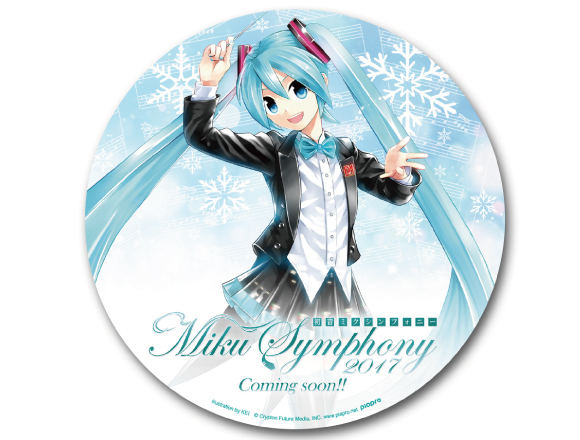 And you’ll receive a free Hatsune Miku Symphony original sticker! 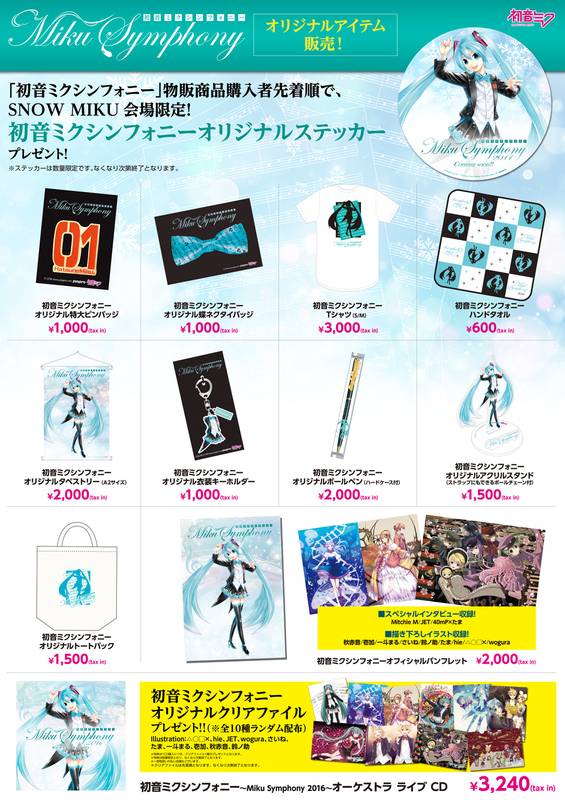 It doesn’t stop there – if you purchase a copy of the “Hatsune Miku Symphony ～Miku Symphony 2016～ Orchestra Live CD,” you’ll receive a limited edition original clear file. A never-before-seen piece clip is also scheduled to be played. Related Article: Hatsune Miku will now make doing your PC work less stressful! Giant limited edition Hatsune Miku cushion arrives!